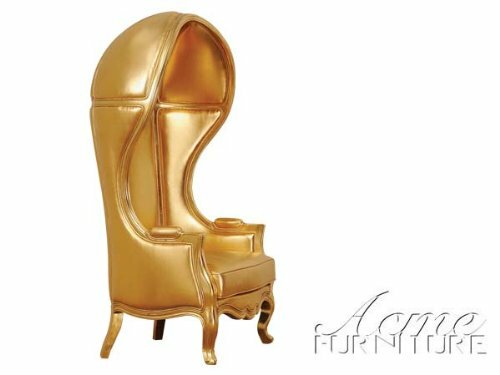 Luxurious Gold Furniture Pieces for Your Home! We all know that gold evokes feelings of wealth, elegance and power! I found a few of the most beautiful, luxurious and amazing gold furniture pieces for sale! From gorgeous sparkly gold chairs, just like this one in the picture, to gold sofa sets, end tables and more! Beautiful Yellow Gold Upholstered Sofa! How beautiful and very elegant looking is this yellow gold fabric sofa for sale? It is also very comfortable to sit on and relax. It also comes with the gorgeous cushions and tossed pillows! It’s a gold throne chair for sale! 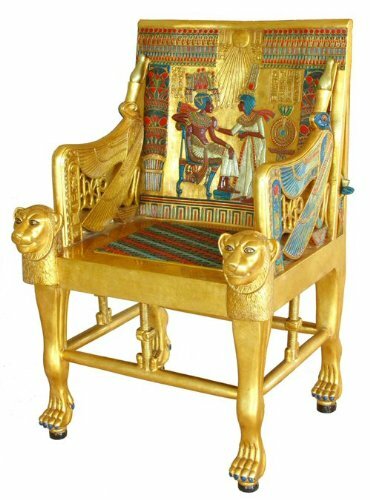 It is actually The Golden Throne of Tutankhamen King Tut Egyptian Chair! Can you imagine having this in your living room? 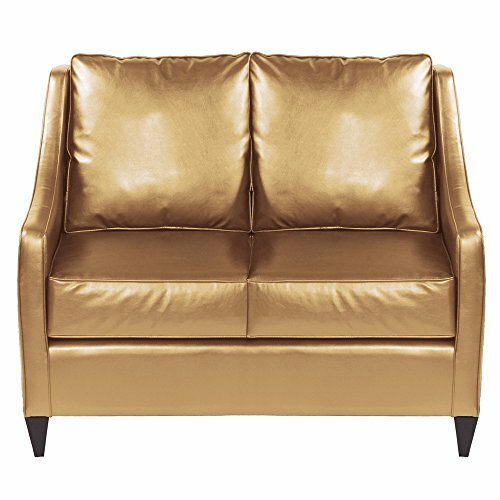 We can’t talk about beautiful gold furniture pieces without also including a cute gold loveseat in the mix! It’s also pretty easy to clean! *How about a touch of gold in your dining-room! If you want to create a nice looking and very elegant gold dining-room, here are gorgeous gold dining chairs for sale! Yes, you will get two of them! LOVE this beautiful gold velvet upholstery! 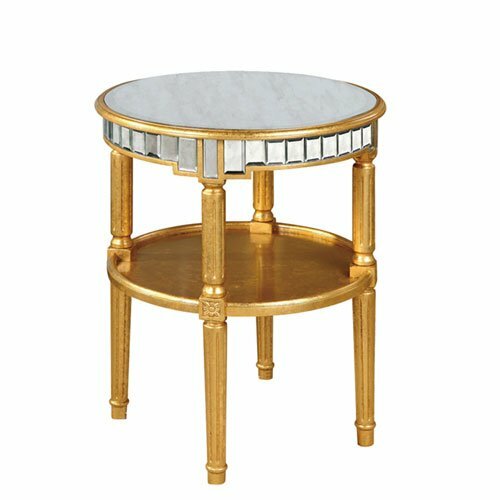 This is a very cute and very elegant gold and antique mirror round table for sale. 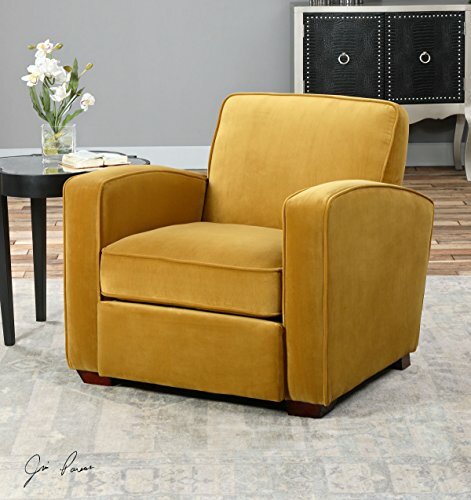 Perfect to have next to your gold arm chair! 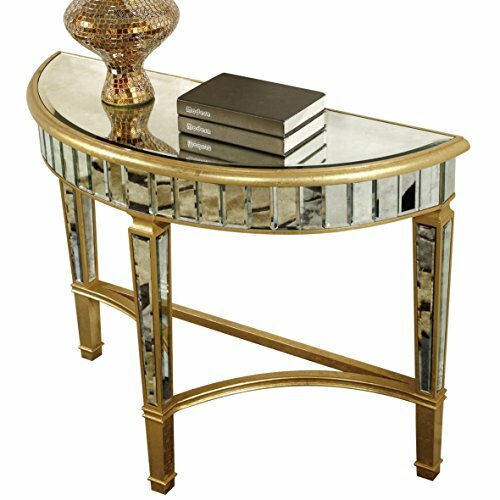 *Gorgeous Gold and Antique Mirror Half Moon Table! 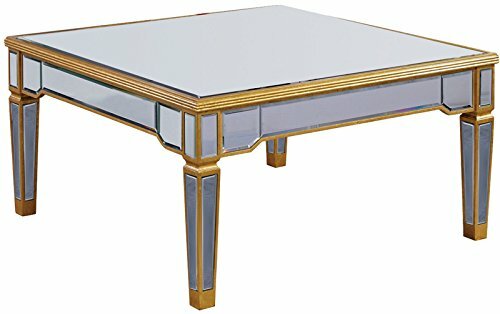 Another stunning looking and very elegant gold and antique mirror half moon shape table for sale! Will add just the right touch of gold in your living-room! It has a nice and compact size and it pretty much fits anywhere! Beautiful and Comfy Gold Armchair! This is a beautiful and very comfortable Aztec gold armchair for sale! You can buy two and create your own set of gold armchairs! Great for reading and watching TV! 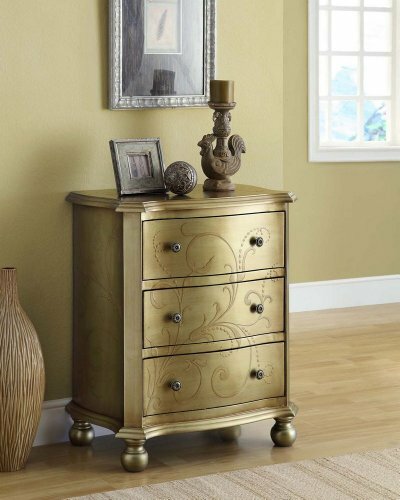 Very Cute 3-Drawers Golden Bombay Chest! A very cute and practical 3-drawer gold Bombay chest that can be placed anywhere in the house! This is a great piece to add just a touch of gold in your living-room! 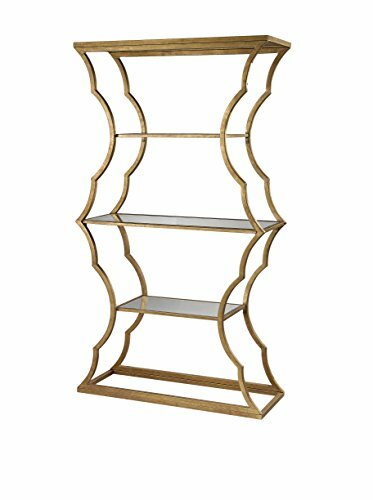 It’s a beautiful and very unique sturdy gold metal bookcase with beveled mirror shelves inspired by the Rococo architecture! Great for placing not only a few books, but also some cute figurines and picture frames! 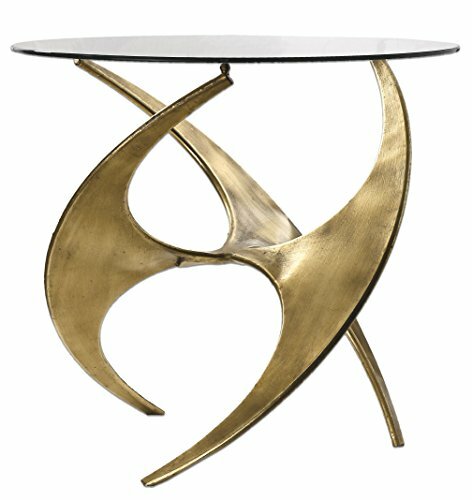 I couldn’t resist showing you this gorgeous and very modern gold metal abstract sculpture accent table for sale! 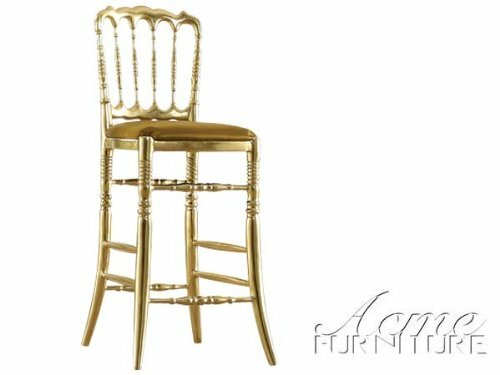 Perfect to have by your beautiful gold chair set! 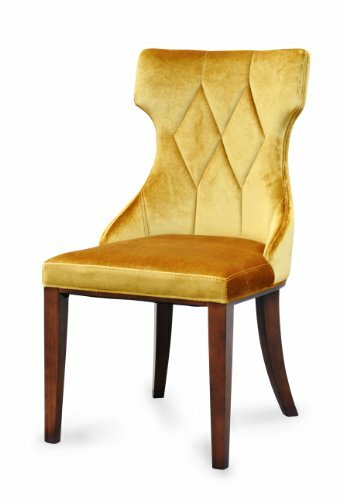 What a beautiful gold finish bar chair for sale! Beautiful addition to your gold home decor! You can get two or three of them and create a gorgeous set! Cool Purple Decor and Furniture! Cute Pink Furniture for Adults!